Call today to reserve your Moraga to SFO Car Service at 1.800.380.9788. Bay Area Car Service’s Moraga to SFO Car Service is an excellent choice for riding in style. Bay Area Car Service will transport you to and from SFO and Moraga in one of our luxury vehicles, giving you the prep time you need – all at a competitive, affordable price! Call ahead at least 24 hours before you need a ride, and our chauffeurs will pick you up or drop you off 24 hours a day, seven days a week. Flying in to SFO? If you book a reservation with Bay Area Car Service’s Moraga Car Service, and one of our professional chauffeurs will meet you after you pick up your luggage and whisk you off to Moraga. You won’t need to worry about arriving at the airport on time with when you reserve with our Moraga to SFO car service. You can leave your car safe in your garage, not in the long term parking lot, and save on the costs associated with daily parking. Our chauffeurs will ensure you make it with plenty of time to spare. When you use Bay Area Car Service, you won’t have to wait on a taxi or a shuttle with other people making a half-dozen stops across the Bay Area. Our friendly drivers will pick you up where and when it is convenient for you, any time of the day, dropping you off directly at the terminal, hotel, convention center or your front door. Our Moraga to SFO Car Service is a private, direct ride to the airport. There’s no waiting for other customers or a driver puzzling out how to fit everyone’s luggage in a tiny trunk space of a cramped van. Just you or your group, and your luggage. 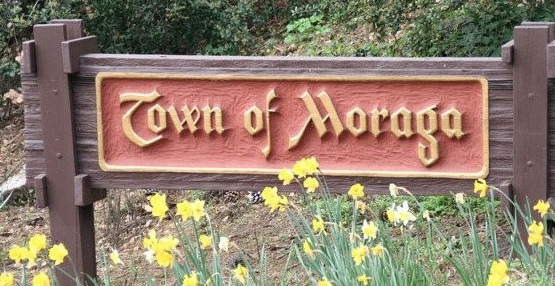 Our Moraga Car Service’s chauffeurs will get you to destination quickly. That’s our guarantee. We know that flying or even just getting to the airport can be nerve-wracking. We’ve got you covered. Our courteous chauffeurs will meet you at the terminal and pack your bags – no puzzles involved. Before you know it, you’ll be at your destination. Using Bay Area Car Service, you’ll be confident in the knowledge that one of our chauffeurs is waiting for you with a smile when you land, ready get you to your home, office, conference, convention or vacation retreat with no hassle. Ready to book a car? Call 1.800.380.9788 or click here to reserve your Moraga to SFO Car Service!